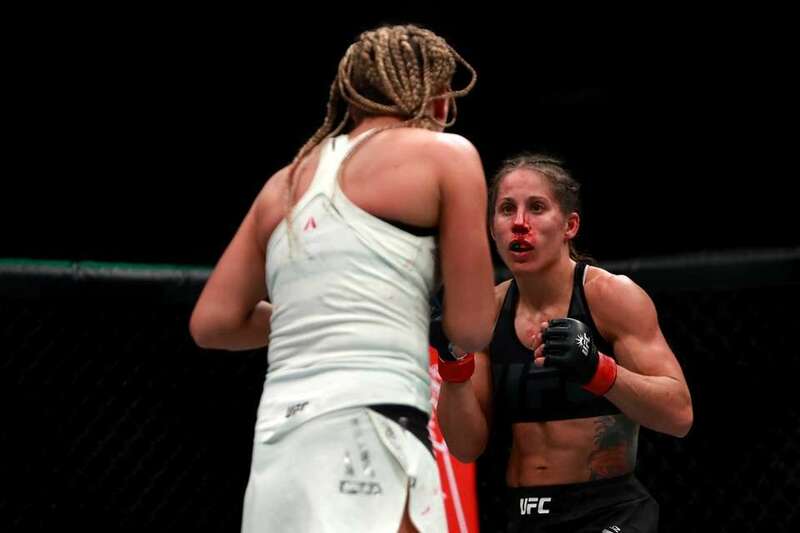 Liz Carmouche won a split decision (29-28, 28-29, 29-28) over Katlyn Chookagian in the opening bout at UFC 205 on Saturday at Madison Square Garden. 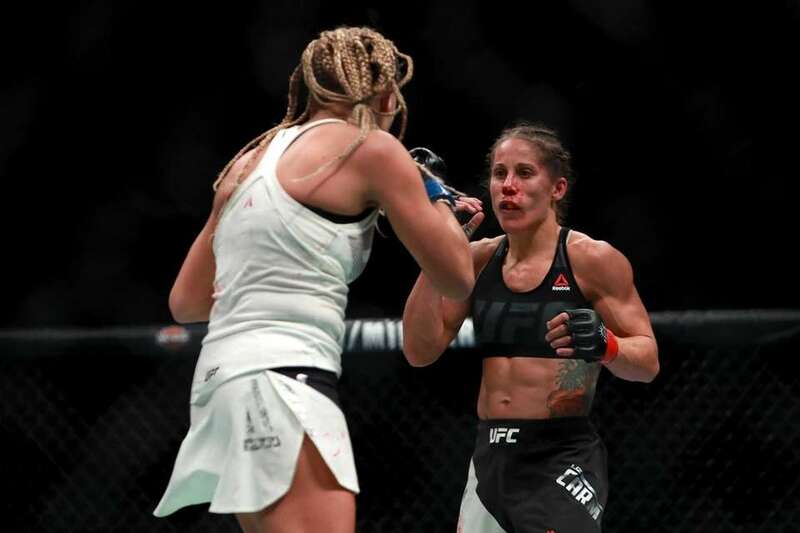 Liz Carmouche of the United States (right) fights against Katlyn Chookagian of the United States in their women's bantamweight bout during the UFC 205 event at Madison Square Garden on Nov. 12, 2016. 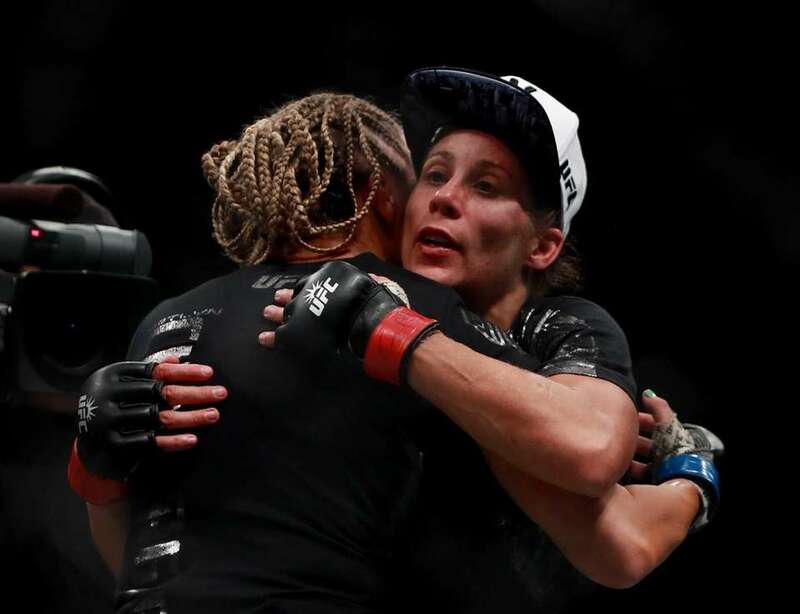 Liz Carmouche of the United States (left) embraces Katlyn Chookagian of the United States after her split decision victory in their women's bantamweight bout during the UFC 205 event at Madison Square Garden on Nov. 12, 2016. 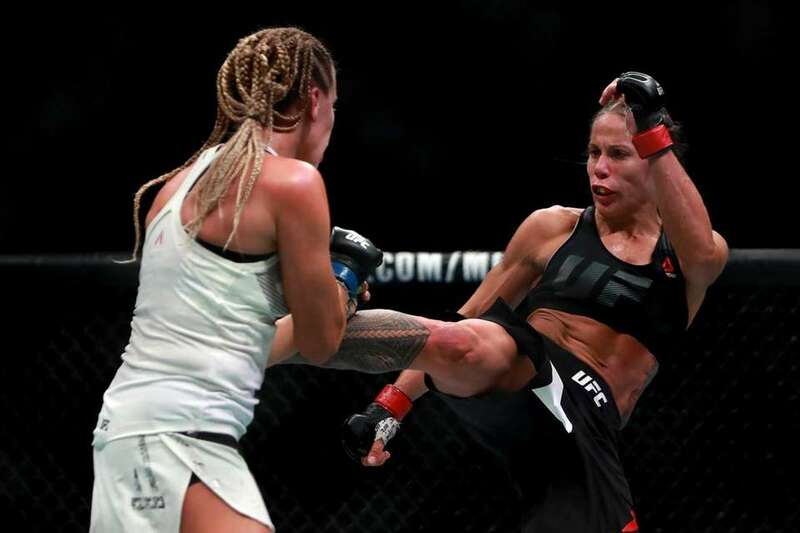 Liz Carmouche of the United States, top, fights against Katlyn Chookagian of the United States in their women's bantamweight bout during the UFC 205 event at Madison Square Garden on Nov. 12, 2016. 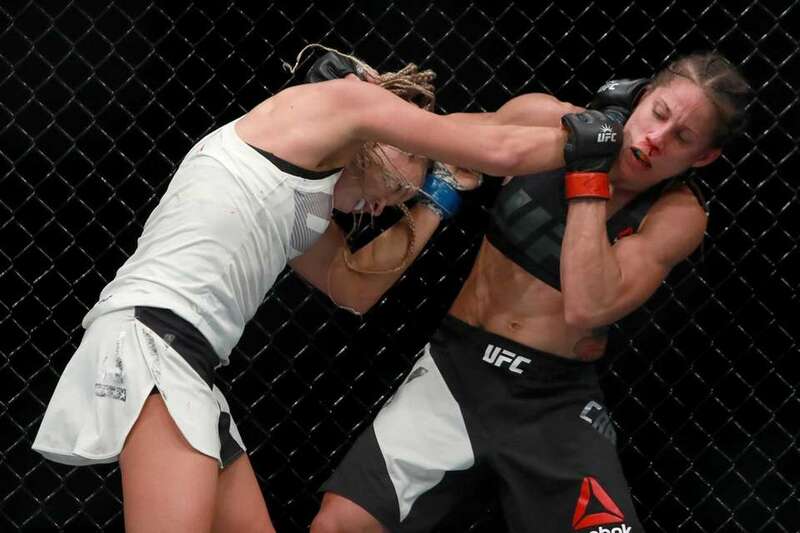 Liz Carmouche of the United States fights against Katlyn Chookagian of the United States in their women's bantamweight bout during the UFC 205 event at Madison Square Garden on Nov. 12, 2016. 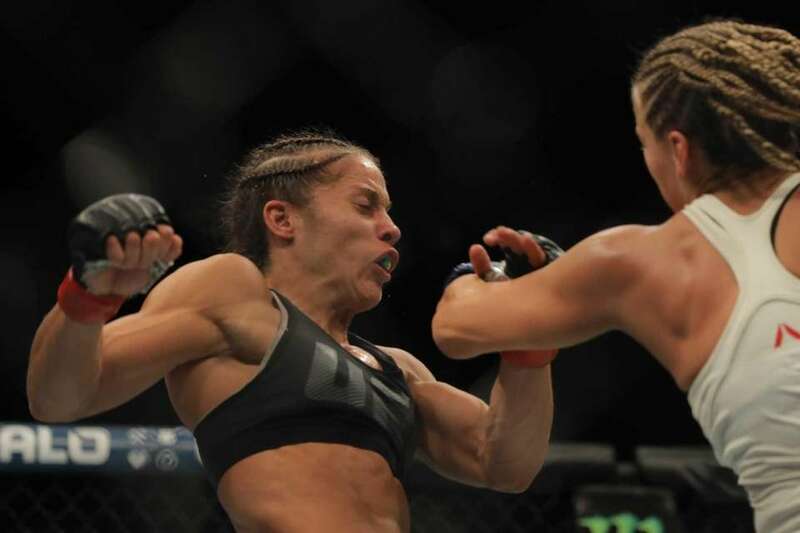 Liz Carmouche of the United States lands a punch on Katlyn Chookagian of the United States in their women's bantamweight bout during the UFC 205 event at Madison Square Garden on Nov. 12, 2016. 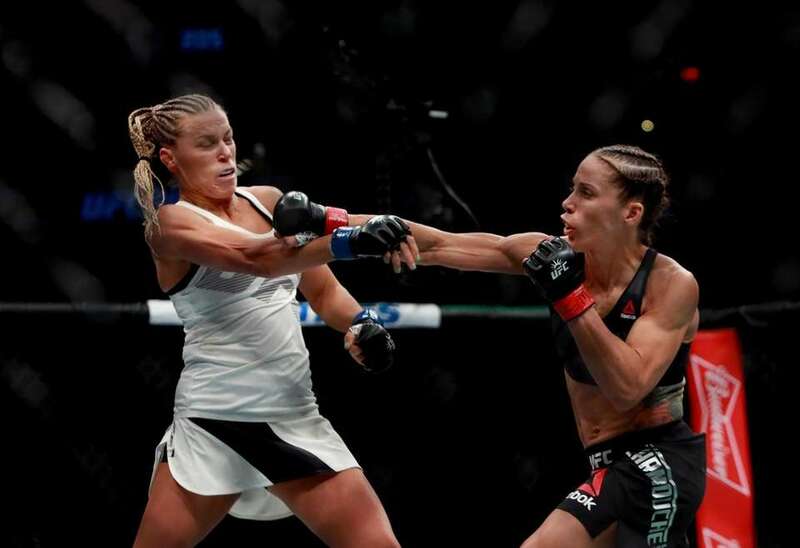 Liz Carmouche, left, grabs at Katlyn Chookagian during a women's bantamweight mixed martial arts bout at UFC 205, Saturday, Nov. 12, 2016, at Madison Square Garden. 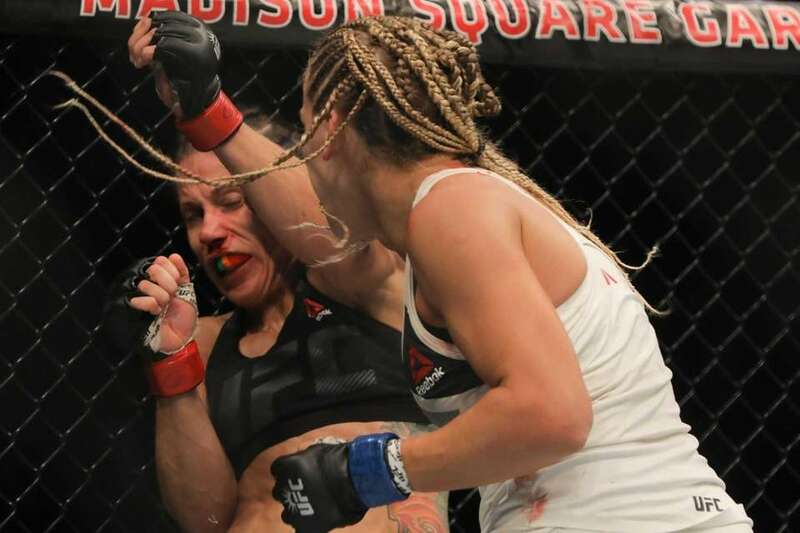 Women's bantamweight Liz Carmouche beat Katlyn Chookagian by split decision at Madison Square Garden on Nov. 12, 2016.